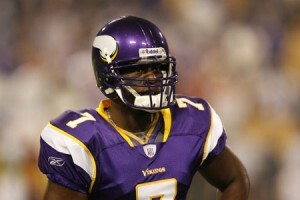 According to a report, the Minnesota Vikings are shopping quarterback Tavaris Jackson around the league. Jackson is a player who might possibly need a change of scenery. If put in a good scenario, he may become a good Quarterback after all. Teams like the Cincinnati Bengals, who were searching for a backup, along with the St. Louis Rams, who could use a change of scenery as well, might be a good fit, although neither it renowned for developing Quarterbacks. One interesting fit, might be the New England Patriots. Who could take Jackson on as a backup and turn him into a polished quarterback. ( Example: Tom Brady ). A little over a month ago, Jackson voiced his opinion about wanting out of Minnesota, but that unrest settled down when Favre said he was going to stay retired. 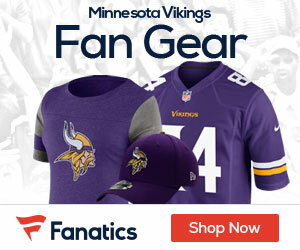 The question still remains: Can the Vikings get any value for Jackson? After all, the franchise does see potential in him, believing up to this point that he would be the starter for this ball club. Don’t expect anything higher then a 6th or 7th round choice. Not that Jackson isn’t worth it, but at this time of year, with teams knowing that the Vikings are going to have to get rid of a quarterback anyways……This all pushes the value down. With the season inching closer, it will be interesting to see if any talks heat up, and whether or not Jackson can find a new home in 2009. My guess is that the team ends up outright releasing a QB at the end of pre-season. It probably won’t be John David Booty because he has a very cap friendly contract. So, it really comes down to Jackson and Sage Rosenfels. Rosenfels is simply a better fit in the West Coast offense employed by the Vikings. What report? Do you have a link? Just release JDB and have done with it. You are only talking about a little over $300,000 difference between the two QBs. That is not a whole lot of savings in the scheme of things. If you think about, JDB will probably be making the same in year 4 of his career too.